April 19, 2019. 2020 4th International Conference on High Performance Compilation, Computing and Communications (HP3C-2020) in Guangzhou, China during March 12-14, 2020. March 12, 2019. HP3C-2019 was successfully held at Aurum International Hotel in Xi'an. Thanks for all the supports. September 12, 2018. HP3C2018 proceedings has been indexed by EI Compendex. August 23, 2018. HP3C2019 conference proceedings ISBN: 978-1-4503-6638-0. 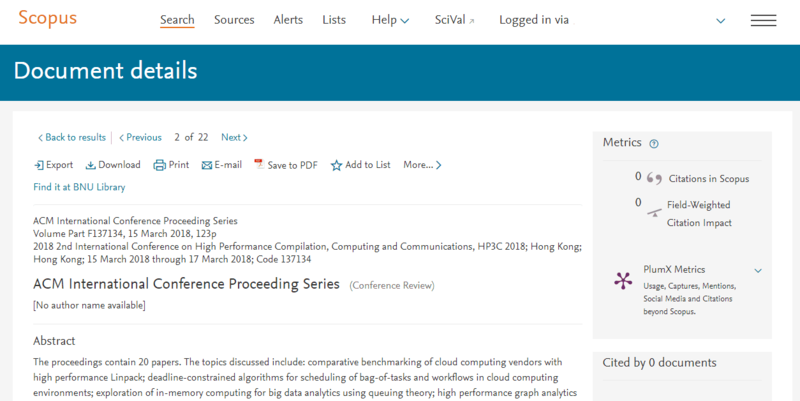 Accepted papers will be included into HP3C 2019 Conference Proceedings which be published in the International Conference Proceedings Series by ACM, which will be archived in the ACM Digital Library. Welcome to share HP3C 2019 CFP Flyer. July 11, 2018. 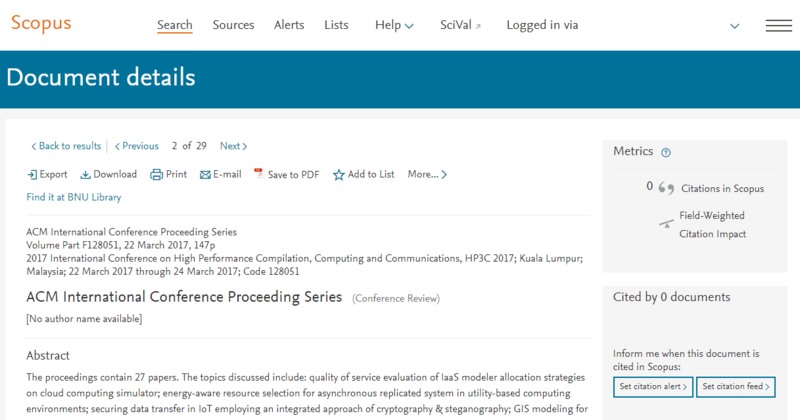 HP3C-2017 and HP3C-2018 Conference peoceedings have all been indexed by SCOPUS. June 8, 2018. You are cordially invited to join us at the 2019 the 3rd International Conference on High Performance Compilation, Computing and Communications (HP3C-2019) in Xi'an, China during March 8-10, 2019. January 22, 2018. Prof. Steven Guan, Xi'an Jiaotong-Liverpool University, China and Dr. Chee Wei Tan from City University of Hong Kong have released the speech information. June 15, 2017. You are cordially invited to join us at the 2018 2nd International Conference on High Performance Compilation, Computing and Communications (HP3C-2018) in Hong Kong, China during March 15-17, 2018. June 2, 2017. Good News! 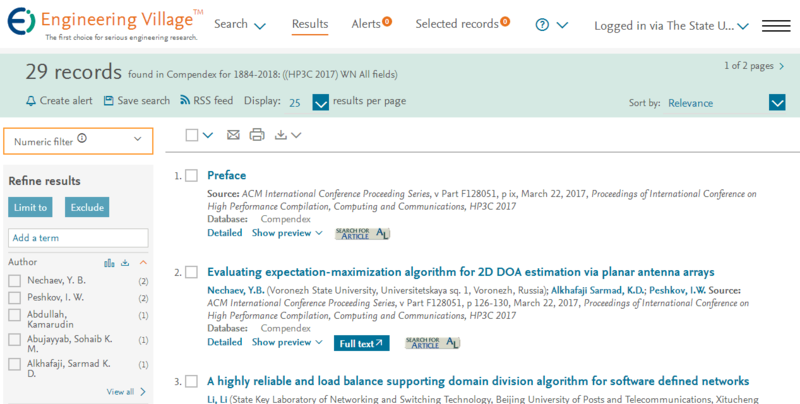 The Conference Proceedings of HP3C 2017 has been included into ACM Digital Library now. Nov 21, 2016. Good News! Sep 1, 2016. Good News! Aug 9, 2016. Good News! You are cordially invited to join us at the International Conference on High Performance Compilation, Computing and Communications(HP3C-2017) in Kuala Lumpur, Malaysia during March 22-24, 2017.